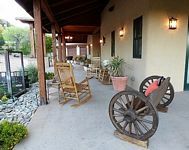 Hacienda Amado - Santa Cruz County, AZ - Headquarters West Ltd. 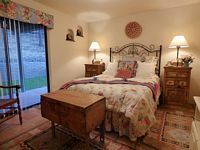 The Hacienda Amado Ranch is located in southeastern Arizona in the southern foothills of the beautiful Santa Rita Mountain range between the towns of Patagonia and Sonoita, AZ. 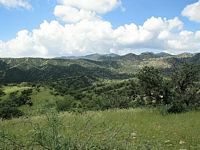 This is an area rich with history, scenic beauty and a strong cattle ranching industry. This region of high desert grasslands, with mild climates and strong range conditions, make this area very desirable for grazing livestock. 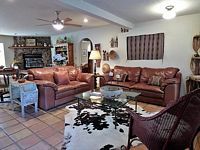 Situated approximately 25 miles from Nogales, AZ and 55 miles from the Tucson International Airport, the Ranch provides the privacy of a secluded ranch with the convenience of easy access to all the amenities of a major city. 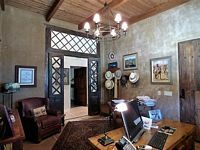 The Hacienda Amado Ranch includes a highly improved headquarters with the focal point being the 5943 square foot Spanish hacienda styled main house including approximately 8,000 square feet under the roof. 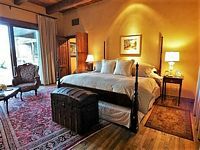 Built in 2008, the Main House was designed to reflect the comfortable elegance of the timeless Spanish hacienda style. High-end finishes paired with antique touches combine the quality of new construction with the easy comfort of an established home. 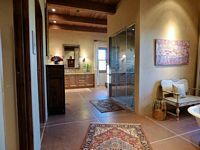 With the mild southwestern climate and three slide-away glass walls, the covered porches and deck provide additional living space and enhance the open, relaxed feel of a hacienda. 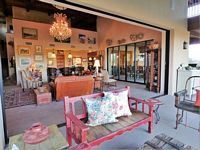 The living room is graced with a crystal chandelier, large stone fireplace, a bar complete with sink and two wine coolers, and two full slide-away glass walls. An additional glass slide-away wall opens the dining room to the outside kitchen area. This home features a ground floor master suite with a luxurious master bathroom complete with a two-sided fireplace, claw-foot tub, his and her spacious walk-in closets, an over-sized shower/steam room, and additional space for exercise equipment or lounging area. A private sitting room with fireplace separates the master suite from the kitchen. Seven fireplaces – five inside and two outside – add to the warmth and comfort of the home. 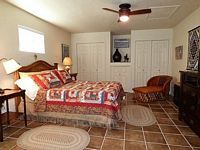 The ground-floor guest suite includes a full bath and sliding glass doors exiting to the covered porch. 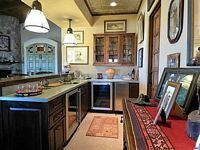 The kitchen features custom cabinetry, professional appliances, soapstone counters, and an over-sized island with sink and built-in vegetable steamer. 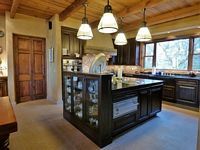 The Butler’s pantry provides abundant storage and workspace, two additional refrigerators with freezers, and laundry facilities. The formal office, complete with separate entrance completes the ground floor. The second floor is referred to as the ‘Loft Bunkhouse’. Five built-in twin beds, with storage underneath each and private reading lights, line two walls. A large central area allows room for comfortable seating while enjoying the flat-screen television mounted over the gas fireplace. The kitchenette comes complete with dishwasher, sink, and microwave. Two separate full baths, a large built-in desk with bookcases, and sliding doors out to the partially covered deck complete the Loft area. An attached, three car garage includes two additional storage rooms, one climate controlled. The grounds around the house are shaded by mature trees surrounded by additional colorful plantings and soft lawn. The meticulous landscaping and gardens are watered by an extensive drip and sprinkler irrigation system. Everything about the house and surrounding grounds show a careful attention to detail and design. Three more houses provide abundant room for guests, family, or employees. 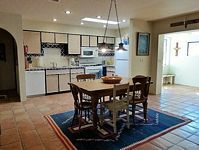 The 1,650 square foot ‘Guest House’ is a completely remodeled four bedroom/three bath home with Saltillo tile floors, a stone fireplace, outdoor kitchen, hot tub, and large covered porches. 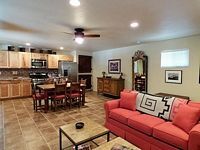 This home provides the perfect spot for friends and family to stay, being close enough for visiting, but far enough removed from the Main House to provide everyone their own space. 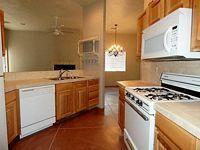 Also remodeled and updated, the ‘Tack Room’ is an 813 square foot, one bedroom house with an open floorplan, full bath, laundry facilities, stainless steel appliances and solid wood cabinetry. 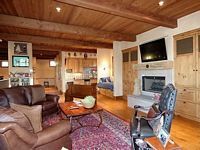 Tucked away from the Main House, the 1,360 square foot ‘Manager’s House’, built in 2008, is a three bedroom, two bath home with a fireplace, laundry area, and covered porch. 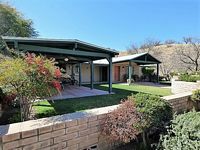 Located well away from the Main House, this would make an ideal home for a full-time ranch manager or caretaker. 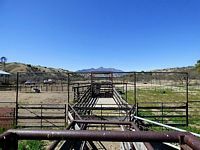 The ±51 acre headquarters area includes a spacious hay barn set next to the pipe corrals, scale, working pens, load out ramp, and arena for handling of livestock. The historic Temporal Headquarters lies within the boundaries of the Temporal Allotment. Leased from the USFS, this rustic headquarters includes a house, working pens and corrals, and a well. This allows for occasional over-night accommodations and a place to keep horses for working cattle without having to return to the main headquarters. 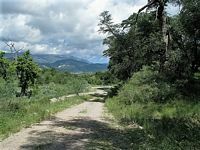 Given the range of elevation within the boundaries of the Hacienda Amado Ranch, there is a wide variety of grasses, forbs, shrubs and trees on the property. Perennial grasses on the ranch include blue grama, sideoats grama, hairy grama, sprucetop grama, purple grama, Texas timothy, curly mesquite, vine mesquite, cane beardgrass, plains lovegrass, and several others. A few annuals can also be found. Shrubby species include cliff rose, manzanita, mountain mahogany, ceanothus, and scrub oak. Riparian areas support sycamore, cottonwood, black walnut, and ash trees. Oak and juniper trees are abundant. 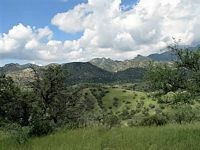 Elevations on the Hacienda Amado Ranch vary from slightly under 4,400 feet at the headquarters to nearly 8,000 feet in the Walker Basin Pasture as it climbs Josephine Peak. With summers and winters that are relatively mild, annual rainfall at the headquarters usually ranges from 18 to 24 inches. Daytime temperatures in the summer seldom reach 100 degrees, and generally reside in the upper 80’s and lower 90’s; summer nights are cool. Winter days are pleasant, with afternoon temperatures usually in the 60’s and, occasionally, in the 70’s and even the lower 80’s. From November to March, nights frequently bring temperatures below freezing in the early hours of the morning. The Temporal Grazing Allotment, USFS #00250, spans 21,607 acres, divided into 13 pastures. 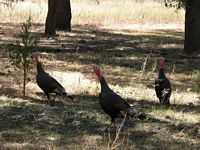 This is a year-round permit for 150-350 cow/calf units and is part of the Nogales Ranger District of the Coronado National Forest. The 2016 Forest Service grazing fees are set at $2.11/AUM, or a total of $8,862.00 annually if fully stocked. Current owner has consistently kept the ranch fully stocked. 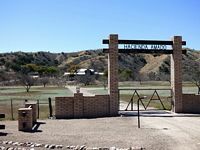 Domestic Water - The Hacienda Amado Ranch headquarters is served by two private wells. Livestock Water - Though there are several well-fed pipeline systems through parts of the allotment, the livestock water is currently supplied by natural and improved springs, numerous earthen dam runoff tanks, and several seasonal and year-round streams. The Ranch HQ is connected to the Sulphur Springs Valley Electric Cooperative system and also has propane tanks and private septic tanks servicing the houses. Cell phone coverage is good at the Headquarters and through much of the Allotment. Internet service and television are obtained through companies offering satellite services. 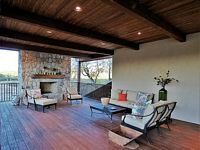 The Hacienda Amado Ranch is for sale for $6,385,000 without cattle. Cattle may be available by separate negotiation. The ranch is SHOWN BY SCHEDULED APPOINTMENT ONLY. 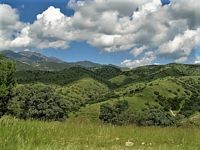 Hacienda Amado Ranch is a productive, working cattle ranch with a well-maintained and improved infrastructure, an exceptional headquarters, and a quality 350 head Forest Service allotment. 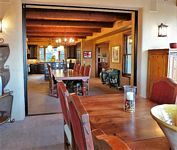 The ranch is considered one of the best watered Southern Arizona ranches and is owned by the historic Amado ranching family from Amado, Arizona which has ranched continuously in the area since the 1840s, a total of seven generations. Please click here to download (about 4 MB) a printable brochure in Adobe Acrobat format. If you get frustrated trying to make this work on your computer, don't hesitate to ask us to mail you a printed and bound brochure instead.